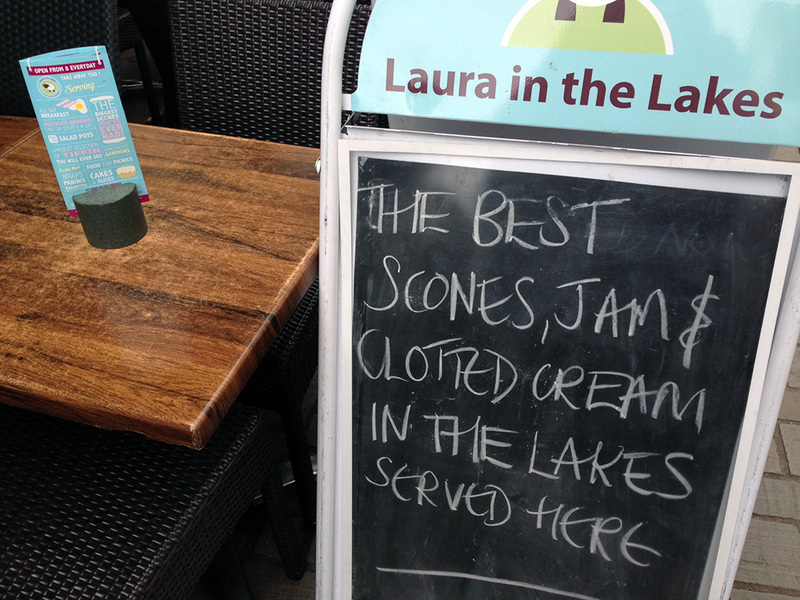 I didn’t try all the scones in the Lake District, but after visiting Laura in the Lakes, I feel confident their claims of selling the biggest scones you’ve ever had (and also the best in the Lakes) are actually true! Laura in the Lakes is a cute little café and teashop on the main pedestrian street through Keswick centre. It’s quite small, but stands out because of the bright blue shop front and quirky graphics, and it has both indoor and outdoor seating space. You can buy light and hot lunches (including fresh soups and stews) from Laura’s, plus tasty-looking cakes and quite a range of their signature Tiffin bars. 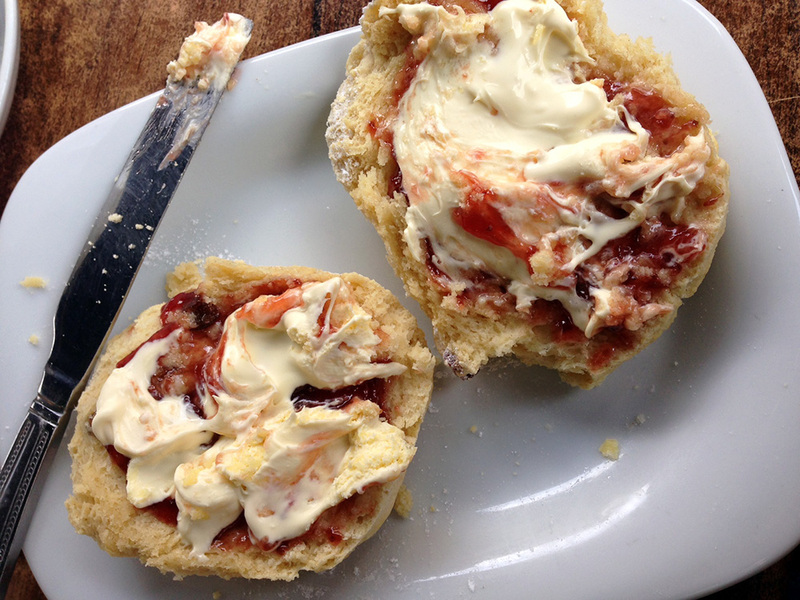 The thing that caught my eye though was their fresh out-of-the-oven fruit scones, which I chose to have served with clotted cream and jam and a pot of tea. Honestly I’ve never seen scones so massive! Mine actually beat me, and I couldn’t quite finish it! 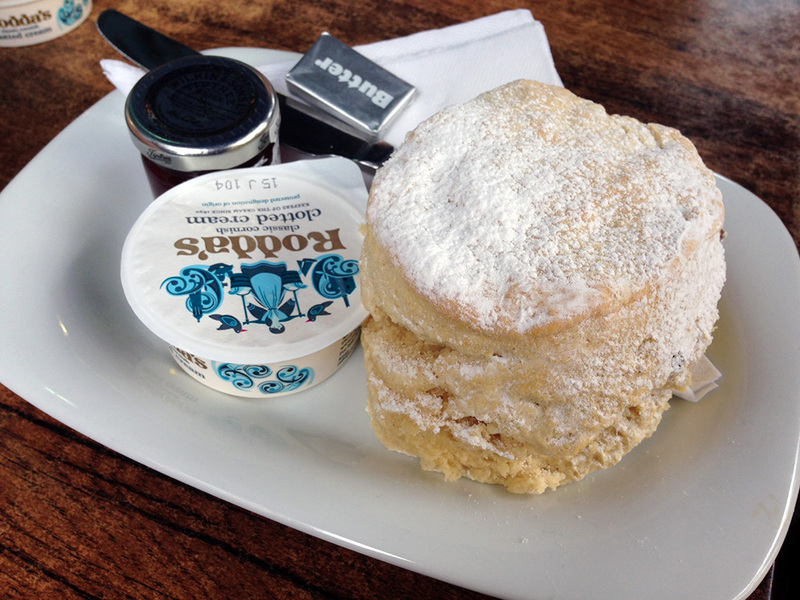 Plus it was delicious, fresh and warm – the only downside of that being that the cream melted on the scone a little, but all things considered, that’s a price I am prepared to pay for such an epic treat! 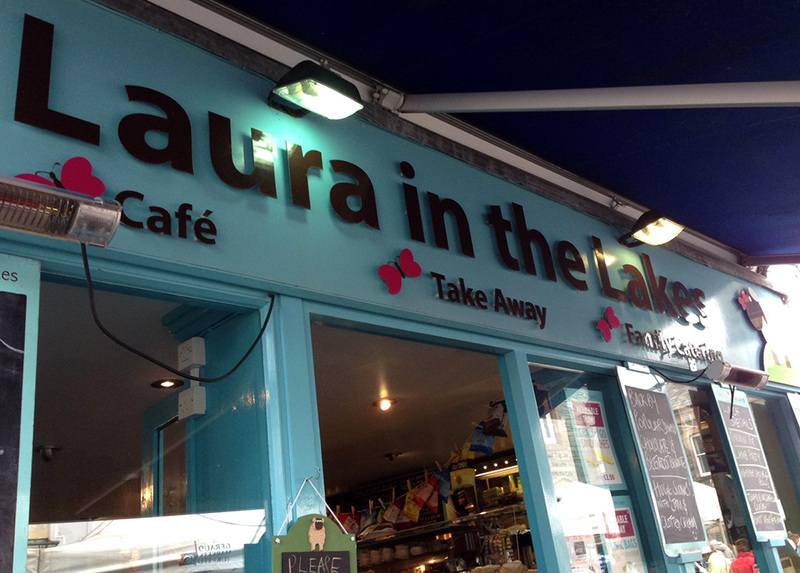 If you spot Laura when you’re in Keswick you should definitely pay a visit! Ooo I love visiting the lakes! If you’re there again soon, try the Apple Pie Bakery in Ambleside. 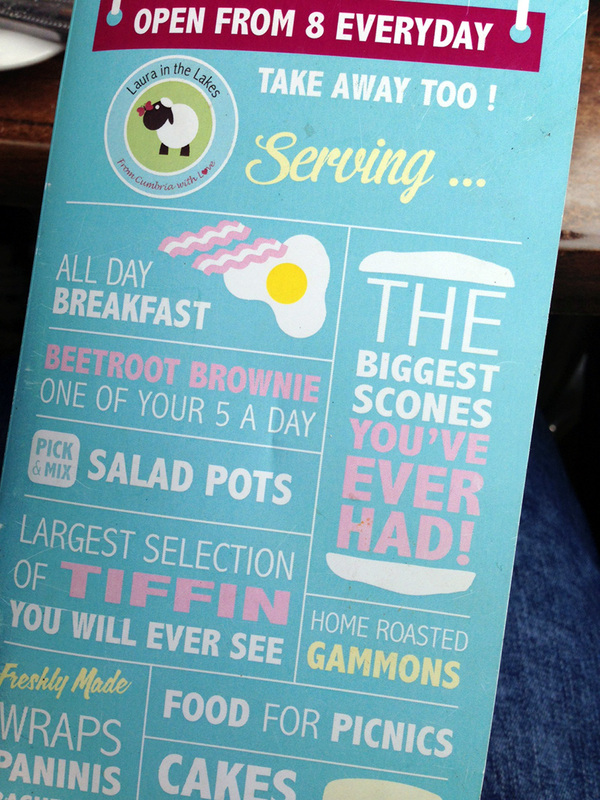 If you love a good scone, you’ll love it in there!